KTM, the specialist for race bikes, relies on a steel chassis for its models. 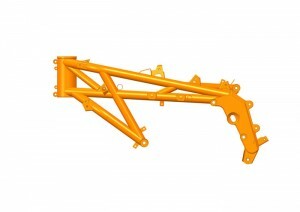 The chassis design is based on cold drawn profiles like those produced by voestalpine Rotec GmbH. KTM designs, develops, and builds high-quality motorcycles, using steel-tube chassis. Unlike other manufacturers who mostly use an aluminum chassis, KTM has chosen the steel-tube chassis approach based on its acquired know-how and company philosophy. Even for its race bikes at MotoGP, the premium class of motorcycle racing. Fans can got a first impression of the performance of the KTM RC16 on August 11 to 13, 2017 at the MotoGP home race in Spielberg: KTM Factory Racing Team, the only team relying on a steel chassis, celebrated its debut in MotoGP and reached a regognizable result. 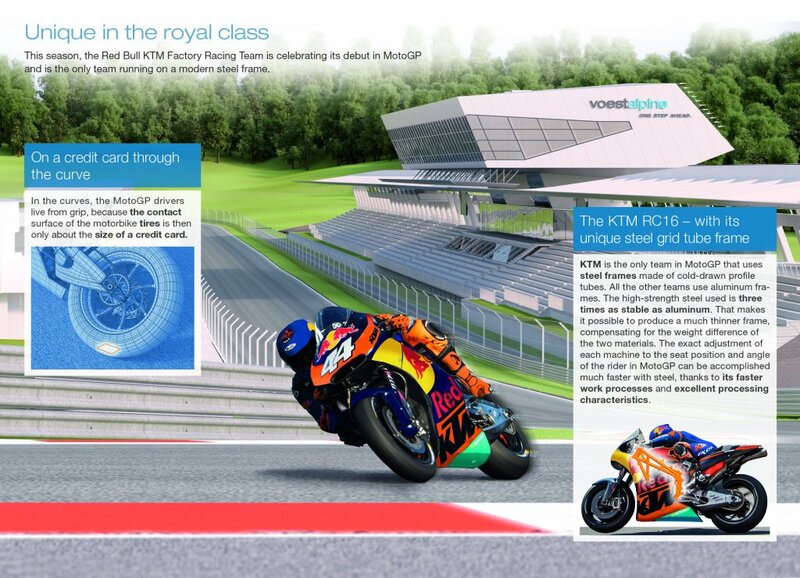 KTM, with its KTM RC16 model, is the only team at MotoGP relying on a steel chassis. The steel chassis are manufactured from cold drawn profiles produced and delivered by voestalpine Rotec GmbH in Krieglach, Styria, for example. Cold forming and the use of high-strength steel gives the profiles extremely high strength, making them three times as stable as aluminum. As a result, a much thinner chassis can be produced and the weight difference between the two materials can be compensated. A key advantage of the steel chassis can be found in high-performance sport: MotoGP requires that each race bike be precisely adjusted to the seat position and angle of the driver. This can be done much more quickly with steel thanks to the faster work processes and its excellent workability, saving valuable time.